Along with becoming more active on Mastodon, I’ve been thinking more about concision recently. One of the big selling points for Mastodon is that the character limit per post is 500 instead of Twitter’s 140. So after a couple weeks, I sat down and wrote an incredibly simple WordPress plugin. Introducing Paragraph. Paragraph removes all formatting of a post or page, effectively turning it into a wall of text. If you see your writing as an uninterrupted wall of text – or a “paragraph” – you may notice that what you’re trying to say is getting lost in the noise. It could also help force you to write more often but shorter each time. Or maybe you’ll find it completely useless: and that’s OK, too. 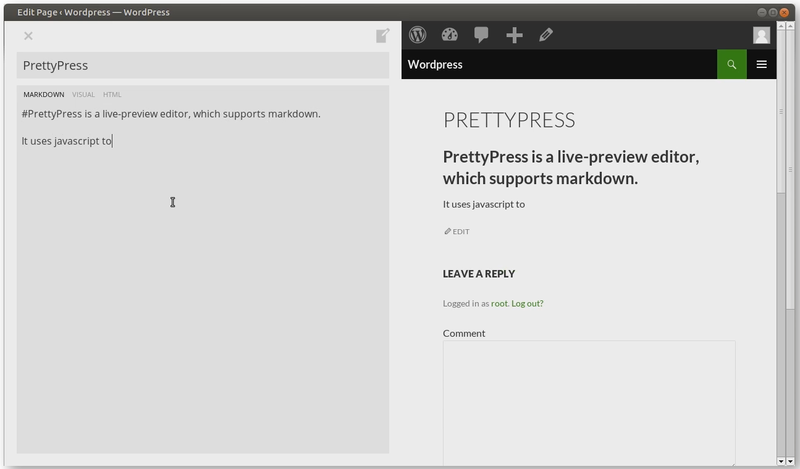 Like my list of used Chrome Extensions, I’m building a list of recommended WordPress plugins. But until I get it done, I have to give some pretty big props to PrettyPress. 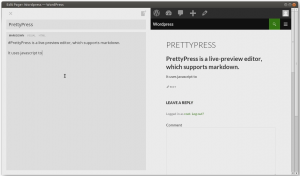 It’s a plugin that lets you edit in Visual, Text, and Markdown – the markup format of sites like reddit, GitHub,, GitLab, and the Stack Exchange family. Term Define is a pretty simple plugin – something really just to get my feet wet in the area. For any ALL-CAPS terms/words in a post, when the page is rendered, a link to dictionary.com is inserted. So a word like ‘HULA’ would get transformed into HULA.